The brand has been supporting the charity with regular food donations since November 2017 but has strengthened its support by developing ‘Forever Home Packages’ for those individuals who manage to find a hostel place with their pet or a permanent home. The initiative, which will run for the next 18-months, will ensure their four-legged friends are each supported for six months, helping both the owner and dog have the best chance of succeeding in the next chapter of their lives. Established in 2016 and inspired by the incredible bond between a homeless man and his dog, StreetVet provides support for homeless pet owners who cannot afford private veterinary treatment and the peace of mind they need in case of a veterinary emergency. To date StreetVet have treated over 600 patients. They have vaccinated and microchipped, treated for fleas and protected against lungworm, prescribed pain relief and helped fight infections, performed surgeries, and sometimes just sat and listened. 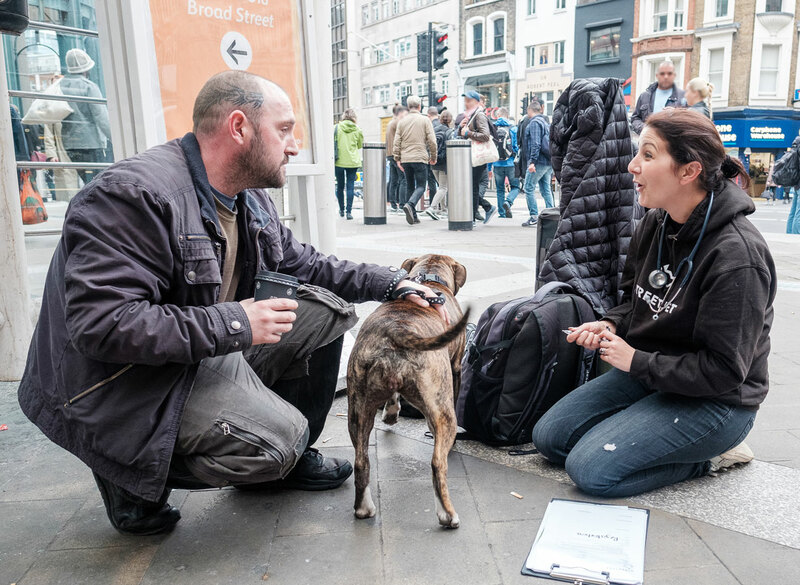 StreetVet co-founder, Jade Statt said: “Having started out in 2016 as two vets with backpacks treating dogs in London, we never dreamt less than three years later we’d be a registered charity with more than 400 volunteers across the country. Julie Butcher, head of marketing at Webbox, added: “The work that StreetVet does to support homeless people and their dogs is invaluable. The health and wellbeing of their canine companions is often a major priority for their owners, so we’re only too happy to support the cause.